Ladies and Gentlemen, this will be one of the last of a handful of new albums (2012) that I review for a while (I also have copies of Gotye and The Adrenaline Mob from this year that are ready for review), as, to put it quite succinctly, I’m too poor to buy any more at this time. I’ll let you know when that changes. Feel free to visit my Amazon Wish List if you want to buy me a new album to review. Hey, I’m not counting on it, but it might work. tl;dr Version: The Mars Volta! What? You need me to say more? Where are you from, anyway? ‘Splain, Lucy Version: Okay, I know that The Mars Volta is NOT for everyone. I’m pretty sure my wife doesn’t care for it. But that’s an issue for another day. The main thing is, those that have been bitten by the bug should need no encouragement, even if the album is touted as a dramatic change in sound from their previous efforts. You’re gonna have to listen to it for yourself to decide, just like me. Boring Version: Nope. Not gonna do it this time. The speculation of a new TMV album has been nagging at the back of my ears for months now. There have been a lot of developments, some reported on Wikipedia and others not so much, but ultimately, this album is supposed to be a sort of turning point. Personally, I’ve noted stylistic and sonic changes in the band with every album, but this one is reported to be a sea change, whilst still being a progressive album. This I’ve got to hear. The Whip Hand starts with some synth-like sounds, followed by a peculiarly timed drum rhythm that still comes out to 4/4, but feels like it’s counting something different because it’s behind the beat. The sound when the rest of the arrangement kicks in is a little bit like listening to 80s Industrial music from bands like Skinny Puppy (only with more audible lyrics). It’s mostly a pretty comfortable number, but it does a few things that make it a challenging listen. I’m definitely going to be playing this track a few more times to get it down. I like it, but it’s a very peculiar piece. Aegis sounds a bit like a song written for a soundtrack as it starts, like a Bond theme. That’s a good idea, actually. TMV does Bond 24… hey, a guy can dream, right? Anyway, it’s not quite as straightforward as that, because it IS The Mars Volta we’re talking about here. That said, even the changes are pretty accessible. This might actually garner some radio play, despite it being a little light on actual radio-friendly hooks. The chorus certainly has a bit of tooth to it, while the verse is pretty unexpected. The bridge is kinda cool, though it’s not quite grabbing me yet. Dyslexicon starts suddenly with an infectious dance groove that seems to continue the almost theatrical theme song feel. It’s probably down to the rhythm section sounding so much like what I’ve heard at the movies in the last few years. The drumming is certainly up to par, though there is a certain precision that is both admirable and a little daunting; Parks’ playing here is powerful and precise but lacking in that swing that Pridgen has during even his most manic performances. It’s like replacing the Tango-on-Cocaine with Drum&Bass-on-Ecstasy, which isn’t as unheard of. Very good, but not as shocking. Still, it’s another track that could conceivably be heard on radio, which is a hard thing to imagine with most of their older catalogue. I quite like the bridge to the outro section with the synth line. Nice outro, sounding a bit like Pridgen’s manic turns of yore. Empty Vessels Make the Loudest Sound comes in on a flood of strange found sound clips, followed by what I can only describe as their first radio hit. It’s got some peculiar drum pattern echoes, and after the verse and chorus ride by a couple of times, we get a bridge section that actually sounds quite cool, though the sound of the band is almost buried under s squall of distorted guitar. It has a rather heroic sounding instrumental guitar section that reminds me ever so vaguely of 70s era Bowie; I’ll be that’s a comparison you never thought you’d hear made about TMV. Definitely the most accessible thing I’ve heard from them yet. The Malkin Jewel stumbles into a bar and… oh, you’ve heard this one before, have you? Well, that’s possible. Apparently they’ve actually released this one, which I think is a peculiar but perhaps entirely typical choice for them. It reminds me of the weirder, more aggressive tracks by, of all things, Blind Melon and The Gandharvas. There is also some early 80s Bauhaus kind of feel to it, but reflected through the prism of being a bigger, less minimalist band. There is a certain Brechtian quality to this number, though it’s as totally obvious or distracting. It’s just a peculiar, dramatic, crunchy track without being ear-splitting. It’s pretty cool, and it certainly isn’t an obvious radio classic, unless you think the radio needs more renditions of Scary Monsters remixed by Trent Reznor. Lapochka starts off in somewhat familiar territory, building up from near-silence, but it breaks into a what I can only describe as Goth Pop. So, we’re kind of in Three Imaginary Boys-era The Cure territory here, if not an obvious stab at imitation. It’s pretty interesting, and even has some very Vangelis-type synth parts. That would seem to be what they’ve gained from the loss of Ikey Owens; taking out a highly proficient keyboardist made more room for truer synth experimentation. Not bad, though very, very different for TMV. I begin to see why some fans are having trouble with this album. In Absentia opens pretty crunchy, with a muted wall of distorted keys, followed by some trash drums and a peculiar broken melody that could either be keys or heavily processed bass in a high register. The drums are pretty overwhelming here, leaving no real room for a proper melody to surface, except where the song breaks into a heavily reverberating bridge, with Parks firing off muted staccato double kick patterns. When the verse structure returns, you almost welcome the broken trash drum pattern, though I find myself wishing the song would finally resolve. And then, when I think I can’t really enjoy much more of it, it does resolve. They still make heavy use of the echo chamber effect on a lot of the tracks, but the keyboard part is vaguely reminiscent of the bridge section in Supper’s Ready, which is essentially the job it is performing. Then a new rhythm kicks in, and it’s much more melodic and satisfying. Only took five minutes to get to. Not bad. This is a track that is determined to challenge, but at least this section rewards. It feels like (oh please, forgive me) Duran Duran here… if Duran Duran also featured Sting and Stewart Copeland. Imago has a kind of lounge groove, a bit of a tango rhythm, but with a very different sound pallet. It probably reminds me most of some of those early, vaguely psychedelic slow ballads that King Crimson used to break up the pointy numbers. However, the song does shift into a higher gear a few minutes in, a sort of chorus if you can have a chorus in TMV music, given Cedric’s penchant for high harmonic overdubs at any given time. The song ends with a bit of nice acoustic. Molochwalker is probably the number that will appease fans of their original sound, though again, it’s not quite what you’re used to. It’s just more comfortably in the heavy drums and nasty guitars vein, with a bit of that Mexican Prog vibe we come to expect. It’s a pretty solid number, but if you’re hoping it will blow your head off with twists and turns, you might be disappointed. Personally, I like it, but I suspect it will take a few more listens to love it. Trinkets Pale of Moon opens with acoustic and bass, with the sounds of old men singing, chant-like, piped in as if from a recording. When Cedric comes in singing plaintively, he is joined by vibes, and then some theater organ running through a Leslie cabinet. The beat doesn’t start until we’ve essayed the first verse and chorus, and even then, it’s muted and the percussion is heavily effected and tweezed to sound synthetic. It’s actually a pretty gorgeous number, and when it switches in the bridge, the acoustic takes front row again, a somewhat dour melody that wouldn’t be out of place in a 70s horror film, like Exorcist or The Omen. Vedamalady continues on from Trinkets with a little synth sequencing, but there’s a pretty gorgeous hook to the chorus. I’m not going so far as to call it a radio hook, but if they’re going to choose a slightly offbeat number to release as a single, they could do worse than to consider this. It’s a bit like they decided to give a Beach boys recital in the midst of an Ultravox number performed by The Mars Volta ensemble. Not bad. Hard to believ eI get to use the word nice unironically when describing a TMV number. Noctourniquet opens peacefully as well, though this number has a bit more groove and bite. Again, it’s not quite as manic as classic TMV, but it’s a cool groove, and Cedric gets to do a bit of power belting in the background. Deantoni Parks gets to play a slightly manic broken rhythm under the slow tidal wash of guitar and the persistent, understated bass. This is a little too cool for radio, particularly when it switches in the bridge to a very Synergy-like synth sequence, but the groove reasserts itself and you can almost imagine getting in a bit of dancing to this one, thought it would have to be very careful dancing during the choruses, because that broken drum pattern could throw a hip out. Zed And Two Naughts opens with a wall of synth sounds before a wall of Cedric and the drums interjects, asserting a vibe that is a little difficult to describe because, before you’ve got it pegged, the verse rhythm starts, and it’s more frantic and moody by turns. The chorus, when it arrives, is probably the most recognizably Mars-like piece on the whole album. It’s a great little groove, and the bass actually stands out in my mind as the guiding track. The breakdown to the middle section is synthetic and cool, and the middle section itself is kind of intense and dark, like that New Years Eve party that looked like it was straight out of an 80s movie, only a bit mroe sinister. The final iteration of the chorus is synth heavy, but that drum rhythm makes it all seem much heavier than it might have been otherwise. It’’s a bit fugue-like, and then the whole thing just stops. 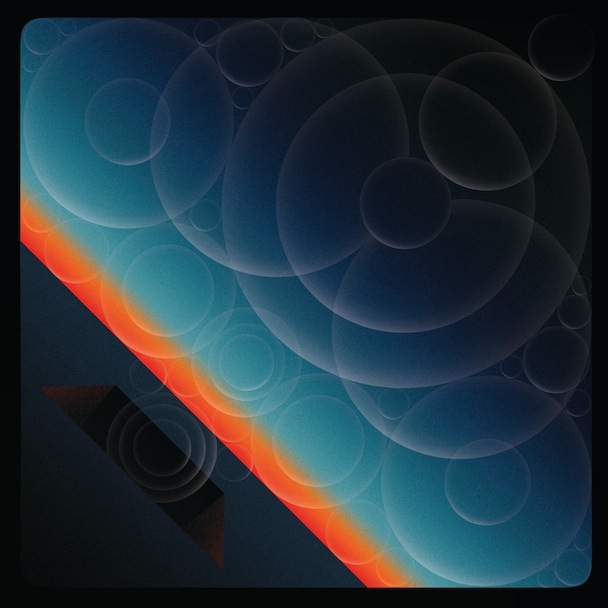 This turned out to be what I’m inclined to think of as being The Mars Volta’s most accessible work to date. But before you reach for the pitchforks, hear me out. It’s NOT strictly speaking a pop album. It’s still very much an avant garde band doing some very edgy work. They’ve simply come out of the stratosphere and landed somewhere high on a mountaintop, the better to reach you with their giant speakers. It’s still The Mars Volta, whatever anybody may have told you to the contrary. But it IS different, and it won’t be what you were expecting if you just came in off of Octahedron or The Bedlam in Goliath. It doesn’t swing madly. It doesn’t sound like the love child of Santana and King Crimson. It’s fresh, persistent, consistent, edgy, challenging, and yet accessible in places. Curious combination, I know, and this may not prove to be the album for you, but it might entice a few people who have been resisting joining the The Mars Volta camp, because they’re way too out there and pointy. For my part, I’m going to have to give it a handful more spins before I can give my final verdict, but all in all, it’s a solid effort and it definitely doesn’t seek to repeat past glories, which is a virtue in itself. I mean, half of the band changed, and Omar is always trying to do things differently, so this should not be that surprising a shift. But if I had to give it some kind of a recommendation, I would say ‘Try it’, and if it almost works for you, try it again and see if the next listen doesn’t work for you’.